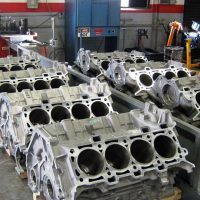 Engine blueprinting is a broad term loosely defined as bringing an engine’s components to within factory specified tolerance or better. 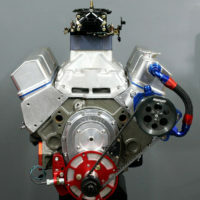 In reality, it is far more than that and author Rick Voegelin is imminently qualified to provide the low down on the basic measurement and machining techniques used to build racing and high-performance engines for optimum output. 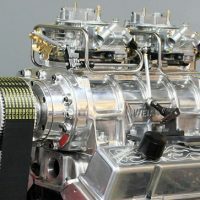 A former editor of Car Craft magazine and numerous Chevrolet Motorsports publications, Voegelin was the inspiration for NHRA’s Super Modified class back in the mid-seventies. 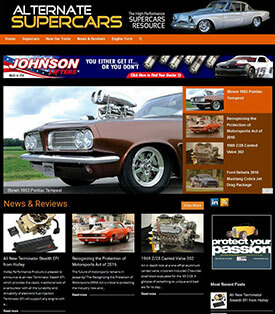 His ten second, 287 cubic inch small block Camaro set the performance standard for Super Modified classes back in the day. 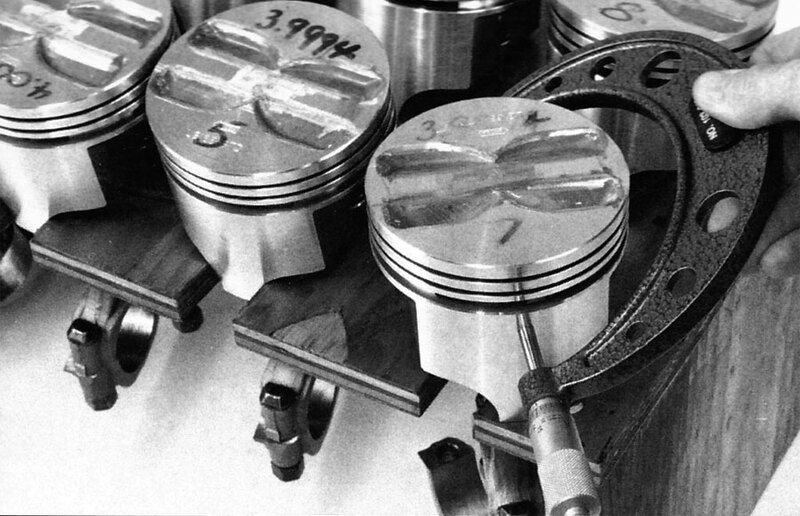 An accomplished automotive writer Voegelin is a superb conveyer of technical information and he leaves nothing out in this well aged, but thoroughly accurate description of the engine blueprinting process. 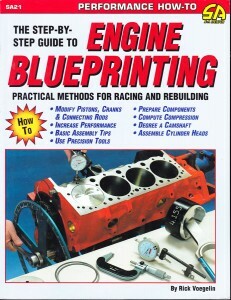 This book has been the standard default blueprinting guide since its original release in 1983. 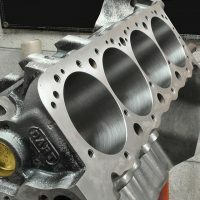 Sound machining and blueprinting techniques are well established and Voegelin relates them in methodical detail for readers of every level from novice to the pro engine builder. 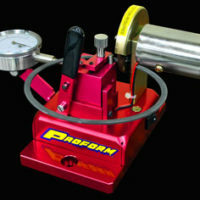 His approach is straightforward and conventional, beginning with a description of the necessary tools and their proper use. 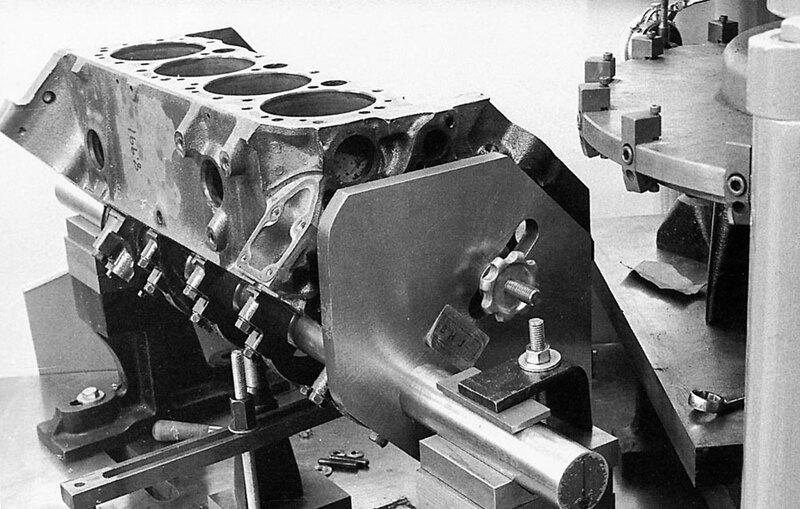 Subsequent chapters offer detailed information about block selection, cleaning, sonic checking, deburring, boring and honing, decking and all the necessary machining procedures to bring a cylinder block up to spec for any racing or high-performance application. 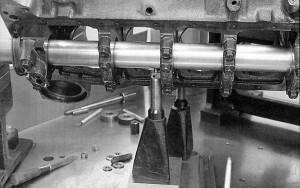 This includes how to restrict oil passages, oil hole alignment, block filling, O-ringing and the many specific operations necessary to accommodate various performance applications. The crankshaft chapter is equally detailed, covering crank preparation in considerable detail, including selection and inspection, shot-peening and stress relieving, crank grinding, chamfering, surface finishes, micro polishing, stroke checking, bearing and thrust clearances and more. 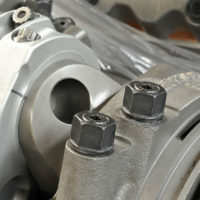 Connecting rods, pistons and rings are thoroughly covered including selection and inspection, resizing pin fitting, clearances for rods and pistons, piston to wall clearance, ring grooves, valve pockets, dome fitting, piston mods, skirt preparation, ring fitting and so on. 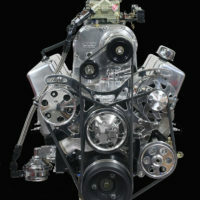 The cylinder head chapter cover head prep, valves and seats, valve guides, porting, angle milling, volume measurement and modification, valve spring setup, rocker arms, rations guide plates, pushrods and all the critical details necessary to prep a bulletproof high-speed valvetrain. 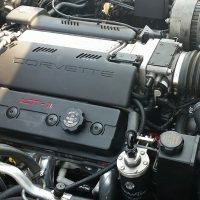 Camshaft setup and checking are covered next with detailed instructions on how to find top dead center (TDC), intake centerline, changing cam phasing, degreeing asymmetrical cams, cam graphing and detailed camshaft positioning information. There is a chapter specifically dedicated to compression ratio modifications, valve relief and dome volumes, deck height and gasket volumes and all the detailed measurements necessary to calculate an accurate compression ratio. 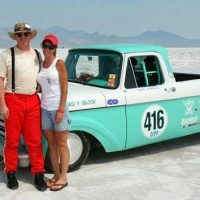 Engine balancing is fully covered with a breakdown of rotating and reciprocating weights, internal and external balancing techniques and the particulars dealing with counterweights, dampers, and flywheels. 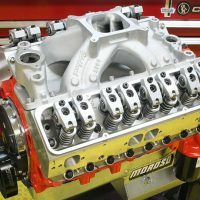 An engine assembly chapter walks you through a basic engine build pointing out all the significant details and assorted pitfalls to avoid. And finally, a well-done appendix includes a cubic inch conversion chart, English and metric equivalents, a suggested engine blueprint record sheet and drill sizes. This book has been the blueprinting bible for nearly thirty years. 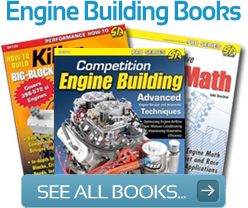 It is the engine builder’s most comprehensive guide to building more horsepower and reliability into every engine you build. 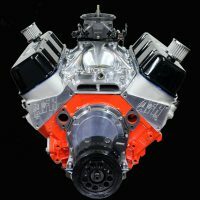 Its longevity speaks volumes about its quality and readers will no doubt agree once they absorb all the engine building details packed into every page.